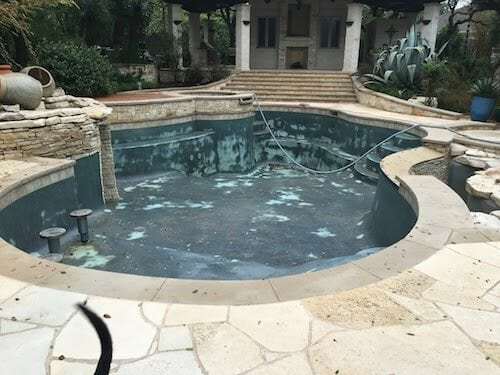 Clear Solutions Pool Plastering | Clear Solutions provides the pool plastering services in Austin that you need to keep your property looking good as new. Welcome to Clear Solutions Pool Plastering. We specialize in Marcite, Quartz, Pebble, Glass and Polished pool plaster finishes. We do tile, coping and all other swimming pool renovations. We handle all of your pool needs. For all commercial and residential inquiries call 512-266-9001 or email sales@clearsolutionpoolplastering.com. We provide full services for both commercial and residential pools and spas. We are committed to providing Austin and the surrounding areas with complete pool renovations. We have remodeled pools in Horseshoe Bay, Marble Falls, San Antonio, Boerne, Waco, Temple as well as Bryan College Station. Clear Solutions Pool Plastering is certified to install Wet Edge pool finishes in Austin and the surrounding areas. We have an A+ rating with the Better Business Bureau (BBB) and are a current member of the National Plaster Council. *We do not provide any electrical services. Our trained pool renovations experts will have your pool looking brand new! From light cosmetic changes to swimming pool restorations, renovations, and remodeling, we offer affordable, competitive solutions on every job. 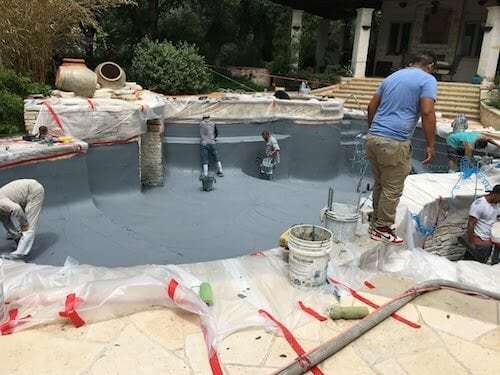 Pool renovations should always be left to the professionals. Our family-run business has been in operation for twenty years! We pride ourselves on our workmanship, attention to detail, promptness, dependability, and expertise. Contact us today for an estimate! The unquestioned leader for all of your swimming pool needs – Clear Solutions Pool Plastering. Clear Solutions Pool Plastering considers our top priority customer satisfaction. Our qualified professionals take pride knowing they take the time to understand each client’s requests and are providing outstanding service. We use the highest quality of products to insure the highest performance, dependability and efficiency to make your swimming pool season more fun! 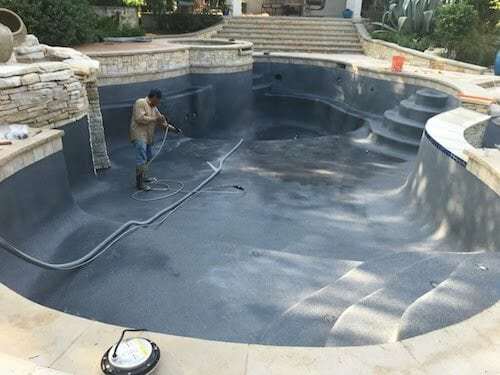 Whether you’re an architect, pool builder, service company, commercial pool manager, homeowner or just someone exploring the world of pool finishes, we can simplify the process of selecting your pool finish.